Browse listings for Downtown Nassau homes for sale in the Bahamas below! 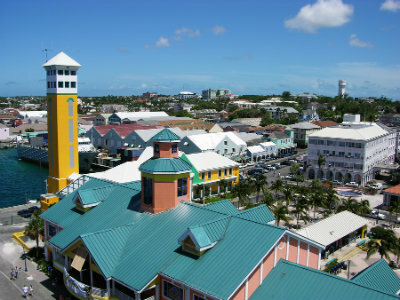 Downtown Nassau, Bahamas offers the prime location for a business or vacation home. Situated in a lively area of the island, Downtown Nassau is filled with luxury boutiques and cultural experiences. It offers the perfect area for a commercial real estate investment or a condo for family getaways and is conveniently found close to both shops and beaches. Downtown Nassau has everything you need in one place! View up-to-date Downtown Nassau real estate listings below or keep reading to learn more about this exciting central community. If you love to shop, dine and people watch, then Downtown Nassau property is ideal for your next home or business. The real estate in Downtown Nassau is not generally on the market for very long and include condos, detached single family homes and commercial real estate. Properties can range anywhere from $90,000 to over $1.5 million dollars. Attractive condos for sale in Downtown Nassau provide the convenience of a stress-free vacation home and are among the more popular property styles. The detached single family homes for sale can vary from a lively Bahamian residence to a newly built luxury home. No matter what style of home you desire, Downtown Nassau property will provide all of the amenities you may hope for. The Straw Market providing beautiful homemade Bahamian crafts, bags, hats and jewelry. Beautiful beaches and great snorkeling. Traditional and delicious restaurants offering some of the island’s freshest and best seafood. High-end luxury stores and unique shopping for duty free prices! Downtown Nassau homes are located in the hub of many businesses, financial institutions, hotels, and restaurants. Condos and homes are all within walking distance to the bars and restaurants affording you a vibrant lifestyle. The Bay Street stretch is always busy and never shy of activity as the cruise ships are docked nearby. Many of the restaurants deliver the most authentic Bahamian food for a true cultural experience. If you prefer to spend your days at the beach, Downtown Nassau provides beautiful aqua colored water, pristine white sand and excellent snorkeling! 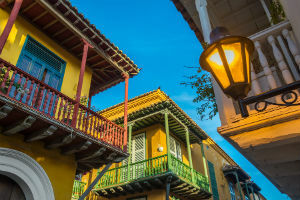 With this area constantly being visited by tourists and cruise ships, Downtown Nassau's homes for sale are one of the most desirable markets in the Bahamas.